Now it is becoming so much easy for all android users to root their devices. That is no doubt a kind lucky thing for all Android users. We have provided you bulk of Android Rooting Apps on our website that you can download apk files very easily. Here I am going to give you another amazing Android App, which will help you to remove or uninstall those system apps in your android device that are useless and irritating. System App Remover App Apk is that tool or application that allows you to remove Android’s built-in apps. After when you root your device, you need some apps that can help you to handle your apk files and they help you in managing those apps or installing them. System App Remover app is one the best Android system app remover apps for android devices. It has so many good features. We have provided you the download link of System App Remover at the end of this article from where you can easily download the apk file for your android device. System App Remover app informs you about each and every app or game you installs on your android, whether that app or game is harmful or healthy for your device. System App Remover helps you to clear cache data of those apps that you have deleted because the remaining caches or files of those apps harms the performance of your device. The best feature of this app is that this supports all kind of android devices. Wait the best feature of this app is yet to be announce and that feature that now you can retreat your deleted apps whenever you want, because you might need those apps in future that is why I strongly recommend you to download this apps for your android device. 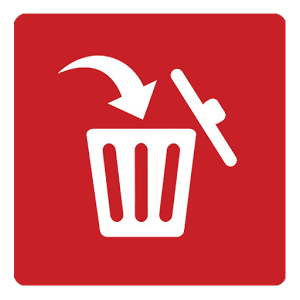 However, you have also option in this app to delete those unwanted and useless apps forever.